Amid an increased focus on opioid abuse prevention, college campuses will soon be supplied with the FDA-approved Narcan in hopes of curbing overdoses and addiction. The Clinton Foundation and Adapt Pharma have partnered to give 40,000 doses of Narcan, an anti-overdose nasal spray, to colleges nationwide. The program is an expansion of an existing one in place for high schools. “The success of the Free NARCAN Nasal Spray for High Schools Program demonstrates the important role academic institutions can play in educating students about opioid misuse and keeping them safe in the face of the current opioid epidemic,” Seamus Mulligan, chairman and CEO of Adapt Phrama, said. “Expanding this program to U.S. colleges and universities will continue this education as well as expand access to this potentially life-saving tool.” Narcan is the brand name for naloxone, a drug that reverses the effects of opioids. It has been responsible for saving many lives as it blocks the brain’s receptors of opioids and restores normal breathing, giving a person time to seek emergency medical care. Narcan is being used by law enforcement officials nationwide to combat the uptick in opioid overdoses. 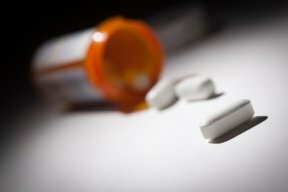 The Centers for Disease Control and Prevention (CDC) reports more than 33,000 people died of opioid overdoses in 2015. While there has been a decline in methadone-related deaths, fatalities associated with heroin and synthetic opioids have increased. Easy access and low costs is part of the growing epidemic.